What a showstopper. 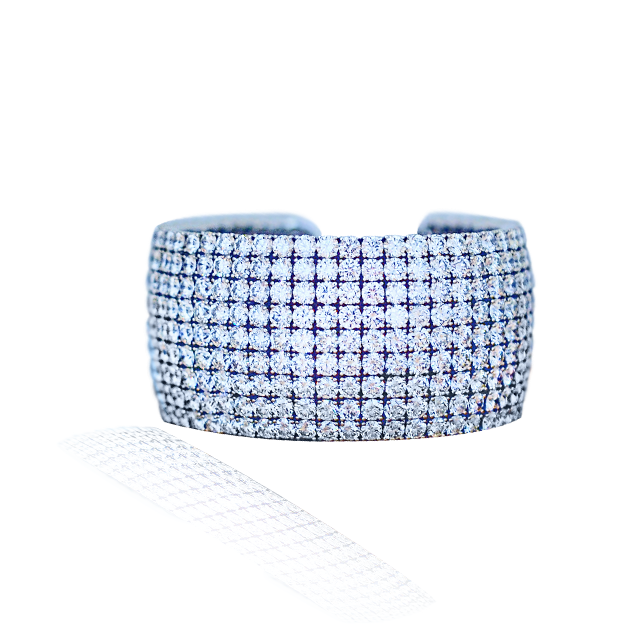 This bracelet has over 30 carats of white FG-VS diamonds set in a perfectly crafted matrix of diamonds and 18k white gold. This cuff is not for the faint of heart and would be perfect for someone who has confidence to match a bracelet this big. To view this bracelet please book an appointment at our Newport Beach Location, north of Laguna Beach and Corona Del Mar and west of Costa Mesa.